The primary piece of information that we can glean from the new study, which was published in the Journal of the American Geriatrics Society, is that “many cases of elder abuse either are not recognized and/or not reported.” Every year, more than 23 million older adults seek treatment in emergency departments across the country. As such, these spaces are particularly important ones for recognizing and reporting signs and symptoms of elder abuse. According to Timothy Platts-Mills, a senior author of the study who is also an assistant professor of emergency medicine at UNC School of Medicine, “these findings indicate that the vast majority of victims of elder abuse pass through the emergency department without the problem being identified.” For most medical professionals, the study reveals a “major missed opportunity” to help seniors who are being victimized by caregivers and facilities. 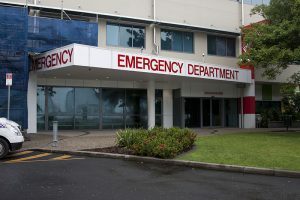 Given that nursing home abuse can result in severe injuries and can have long-term repercussions, it is extremely important for healthcare professionals in emergency departments to receive proper training for recognizing signs of elder abuse and neglect, and knowing how to properly report it. As California’s population, as well as the U.S. population generally, continues to age, emergency departments are seeing more seniors on a regular basis. Right now, the study indicates that most healthcare professionals in emergency departments only ask one question about patient safety during intake. The study suggests that hospitals should institute a policy whereby healthcare workers ask a series of questions that can better reveal whether a patient may be the victim of nursing home abuse or neglect. If you have questions or concerns about an elderly loved one, a dedicated San Diego County nursing home abuse lawyer can discuss your options with you. Contact the Walton Law Firm today.